New York's most famous contribution to mixological history will be sold at 1933 prices all over the city. Tonight we're going party like it's 1933. The Bloody Mary cocktail, created in New York City by a French bartender, turned 75 years old Monday. Originally called the "Red Snapper" by squeamish bar-goers, the mix of vodka, tomato juice and Tabasco has enjoyed enduring popularity. 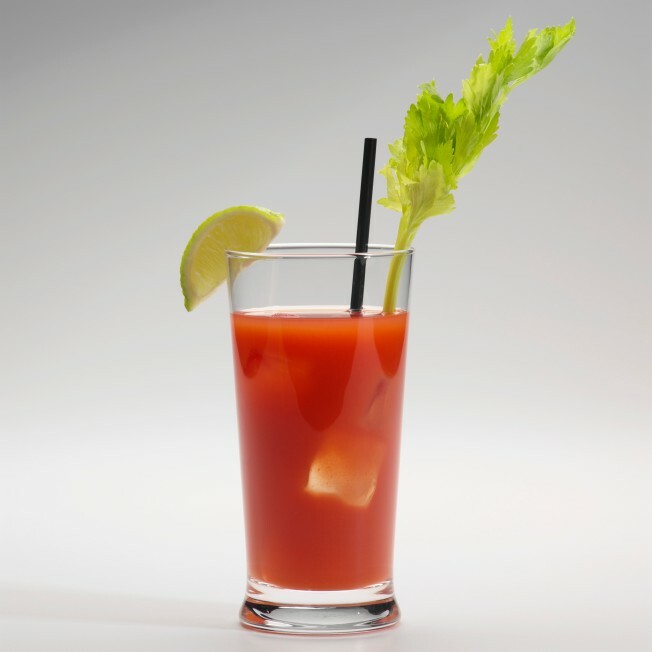 In honor of their hometown cocktail, New York state and local officials have proclaimed it "Bloody Mary Day." New Yorkers will also lead the nation's boozehounds in a festive binge at Times Square, where bars are offering anniversary drink specials. Some intend the sell the highball at 1933 prices—99 cents a glass.